A Great Gusto Day Out! We’d been waiting for what seems like a life-time for some good weather, the winter seemed to be so long. We hoped and kept everything crossed…. and it worked! Right at the end of February we had a gift of a day! We had a lovely day with Dylan, Carley, Lyn and Bruce and it always makes it so much better when the sun is out. 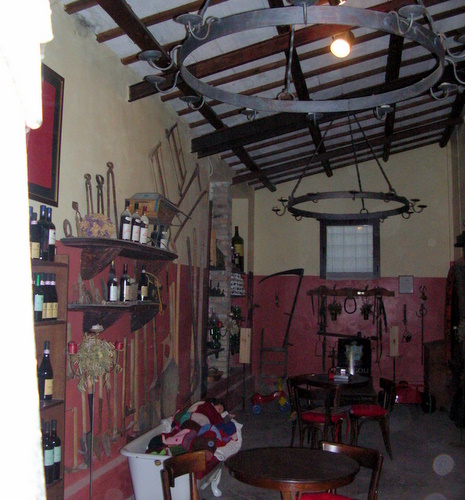 We started at the lovely Cantina Di Filippo. 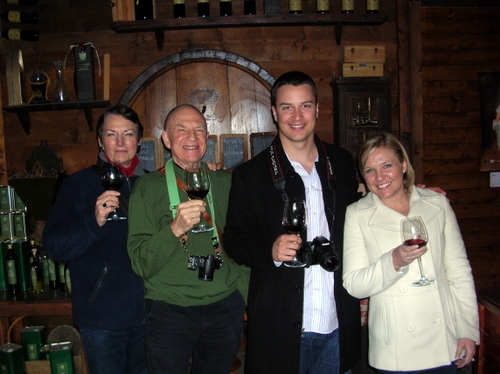 Then we had a pretty drive through the gorgeous countryside towards Montefalco where we found ourselves at a truly family-run cantina, Colle del Saraceno, with the tasting room in a converted room under the family home. We were told by Maila, the lady of the house that when the weather is warmer, the tastings are held outside in the garden and under the olive trees. Looking forward to that with the summer guests! After trying their lovely fresh olive oil and then their small but perfectly formed selection of wines including their magnificent Sagrantino secco we left to head for lunch at an agriturismo tucked away in the Umbrian hills. 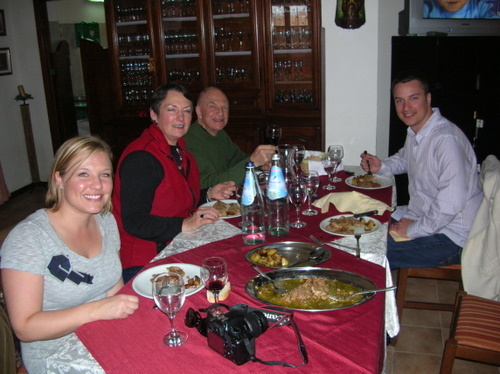 After the relaxing lunch we drove out once more into the countryside and headed for the delightful Cantina Fongoli. We think this is one of the prettiest Cantine anywhere, full of character and, of course, they have very, very good wines! 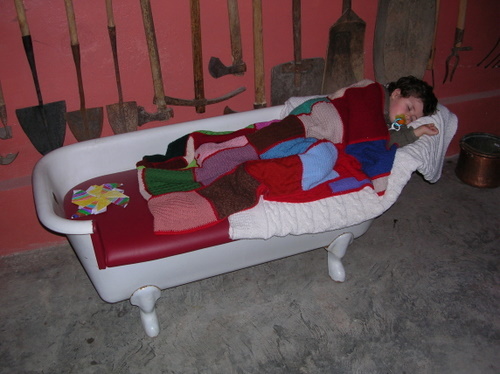 The owners’ little one was tired, so he was put on the improvised seating – an old bath-tub! So cute! 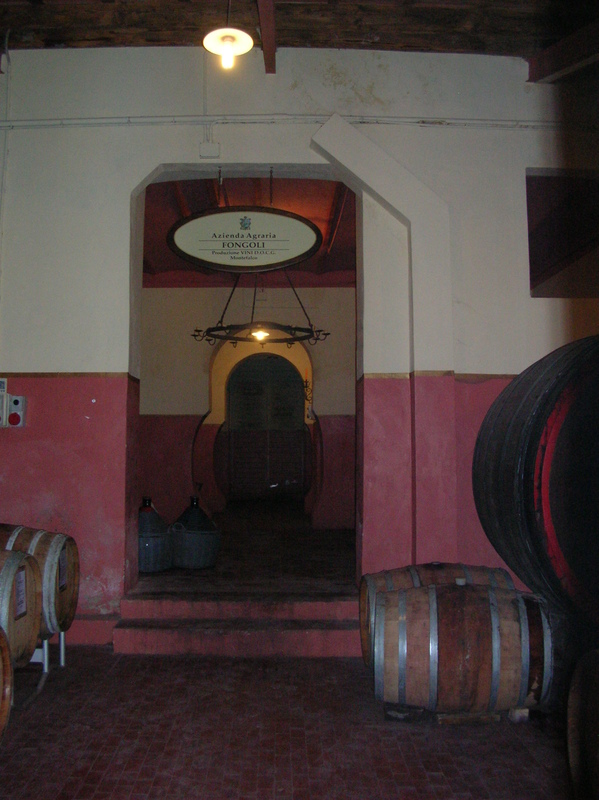 The barrel room at Fongoli is a very traditional affair! 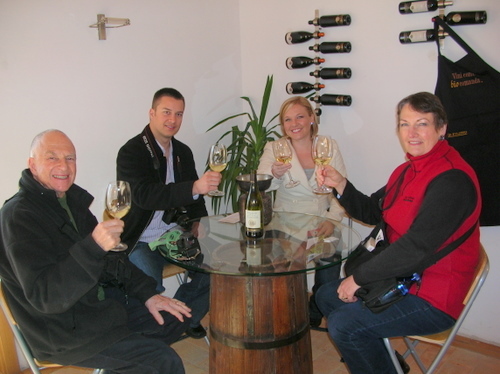 ... and the tasting room wasn't bad either! The tasting room was full of old farming and wine making equipment, fascinating to look at – and very photogenic. Yep! That about sums it up! Hi Willeminjn! Believe me, it was a fantastic day out!